Hope everyone had a great Mother’s Day weekend. Today, we let’s look at the New Tampa housing market and how it performed in April 2018. Generally speaking, home sales continued to drop compared to last April as housing inventory remained tight. As a result, prices were higher than a year ago. Now let’s dig a little deeper into the numbers. In April 2018, 16 fewer New Tampa single-family homes sold compared to April 2017. 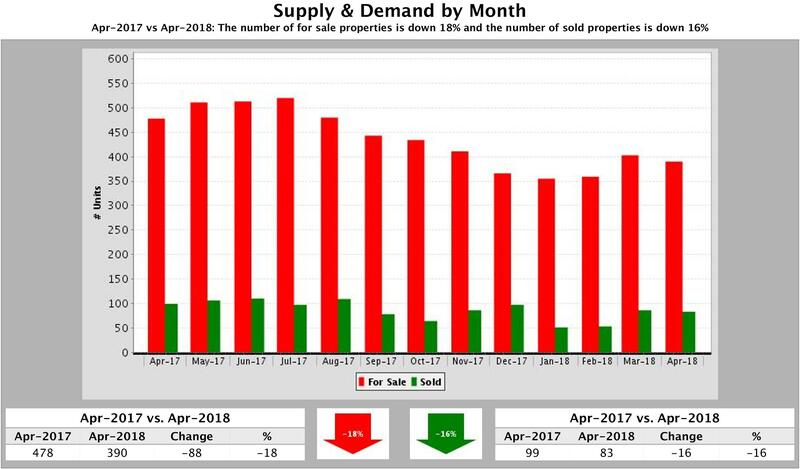 In total, 83 homes sold, 16% less than in 2017 when 88 homes sold and a little over 2% less than a month ago. The number of homes for sale also fell 18% — from 478 (April 2017) to 390 (April 2018). That’s 88 fewer homes for sale than last April and 4 fewer than a month ago. 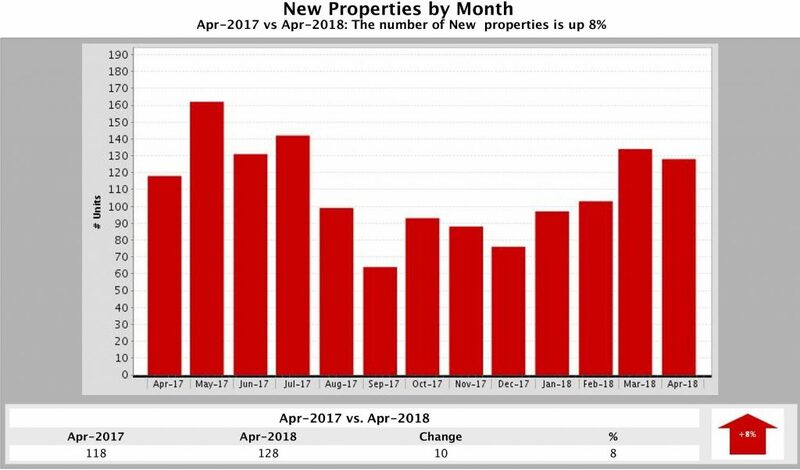 But, the number of New Properties listed for sale climbed 8% — from 118 April a year ago to 128 this April. By comparison, last month 386 homes were listed for sale. 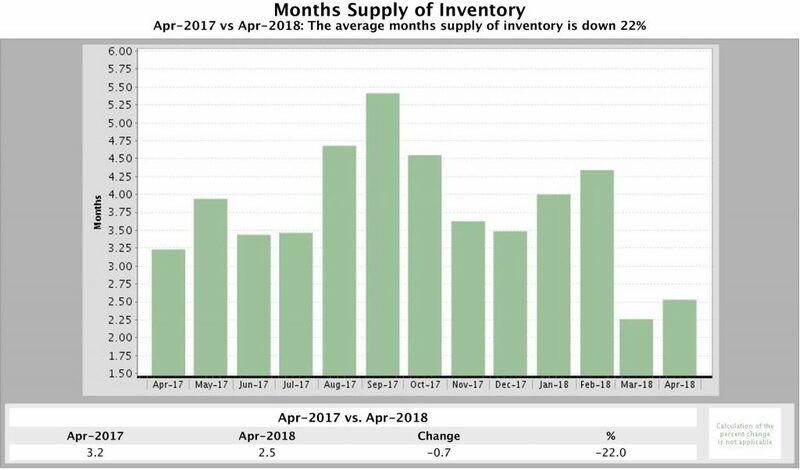 Months Supply of Inventory, which measures how fast the current inventory of homes will disappear if homes sell at the current rate, dropped 22% compared to April 2017. This April 2.5 Months of Supply of New Tampa homes were on the market, while a year ago inventory levels stood at 3.2 months. 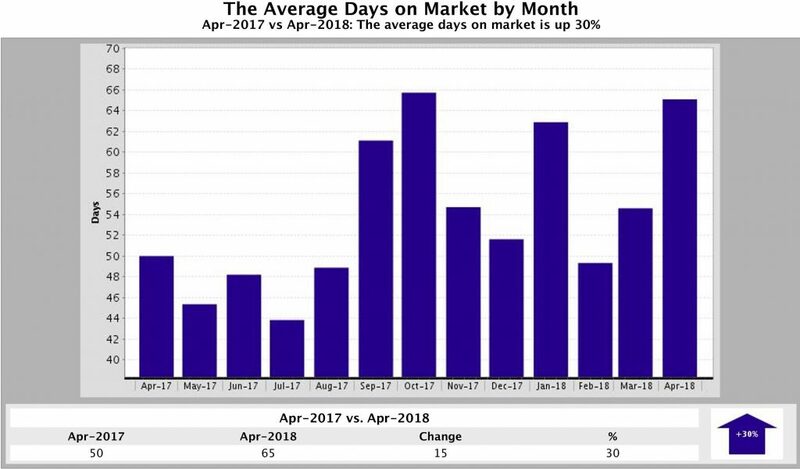 The Average Days a Home Stayed on the Market jumped 30% — from 50 days in April 2017 to 65 days in April 2018. As expected, prices rose as a result of the lack of supply. Median Sold Price, which shows the price half the homes sold for, rose 5% (or $15,813) — from $291,687 in April 2017 to $307,500 in April 2018. The Median For Sale Price of homes leaped 9% or $28,950. 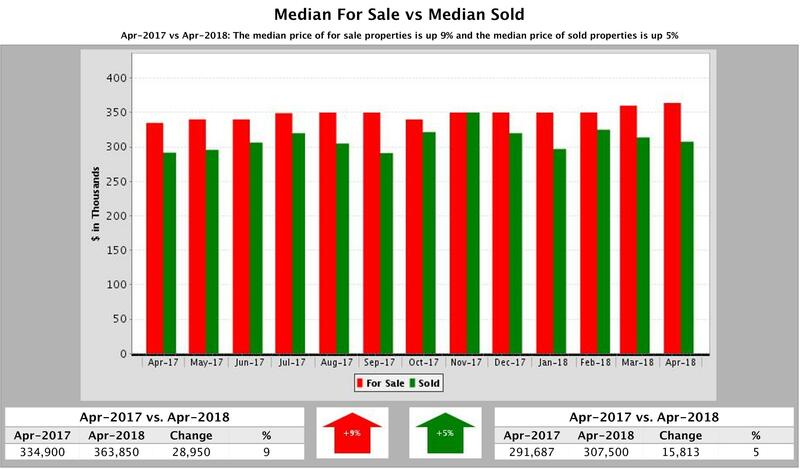 In April 2017, the median for sale price stood at $334,900 but in April 2018 it climbed to $363,850. The tight supply of inventory should motivate buyers to pay a little more than usual driving prices higher. But this can also cause homes to take a little longer to sell as some buyers will not find what they want to buy due to lack of homes for sale. 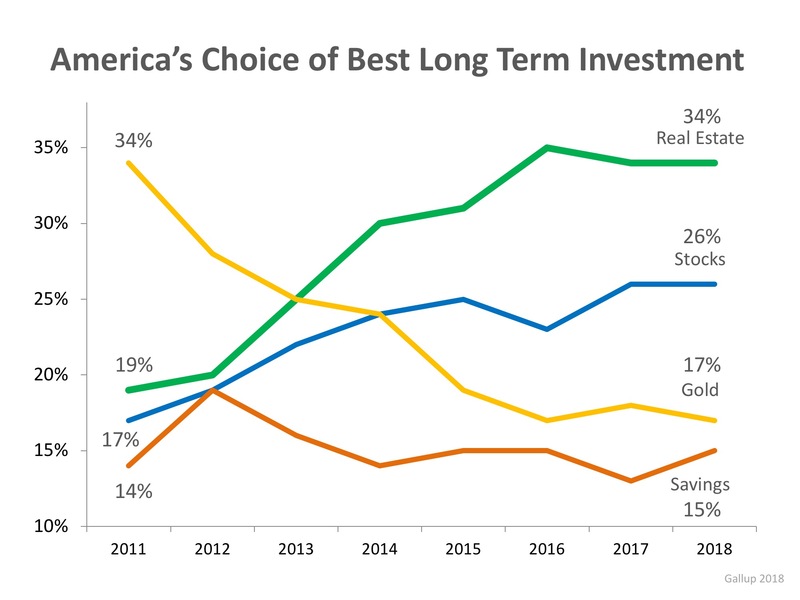 However, with mortgage rates expected to go higher in the future, buyers still see now, not later, as the best time to buy a home. Sellers who list now have a prime opportunity to sell their homes for top dollar. If you’re buying a second home, consider purchase price, carrying expenses — and tax issues. Take advantage of all remaining tax breaks, and remember that renting out your second home part-time has tax implications. Planning to reside in two states? 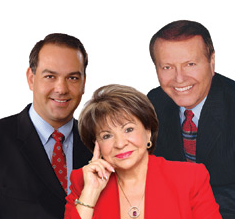 Be sure to discus the tax implications with your financial advisor. Owning a second home can pay substantial dividends in the form of an increased quality of life. Whether it’s an escape from winter — or to a ski resort — a second home can make a profound impact on your family’s lifestyle. If you’re considering buying a second home, there are a number of financial considerations, including purchase price, carrying expenses and tax issues. Although it’s more fun thinking about the home’s décor and local attractions, taking the time to plan ahead for a few key tax issues can save you money, and potential headaches, later on. Here are a few things to take into consideration. The most common mistake I see homeowners make with real estate is underestimating when to start preparing for their home sale. 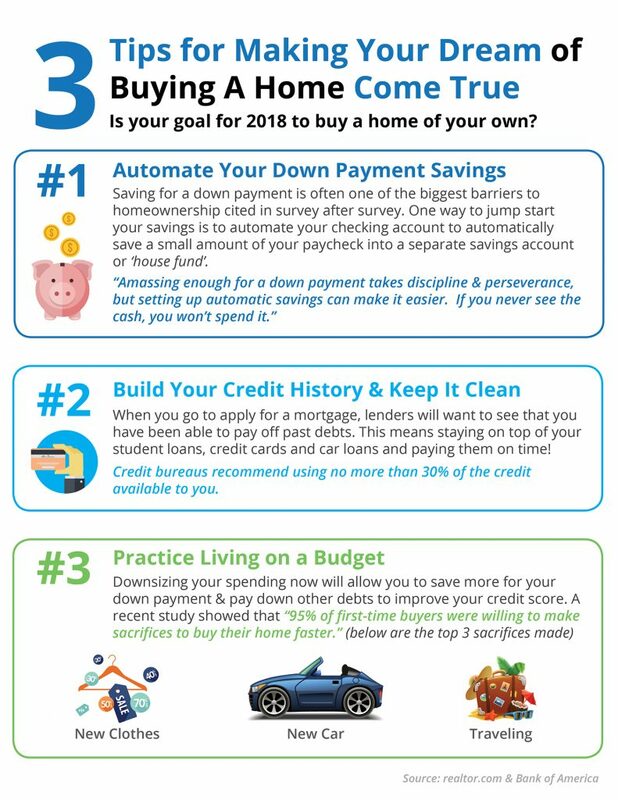 It’s not just a list of things to do to prepare the home for sale so it shows better; it’s also the multistep timeline and a whole sequence of sale-related tasks. 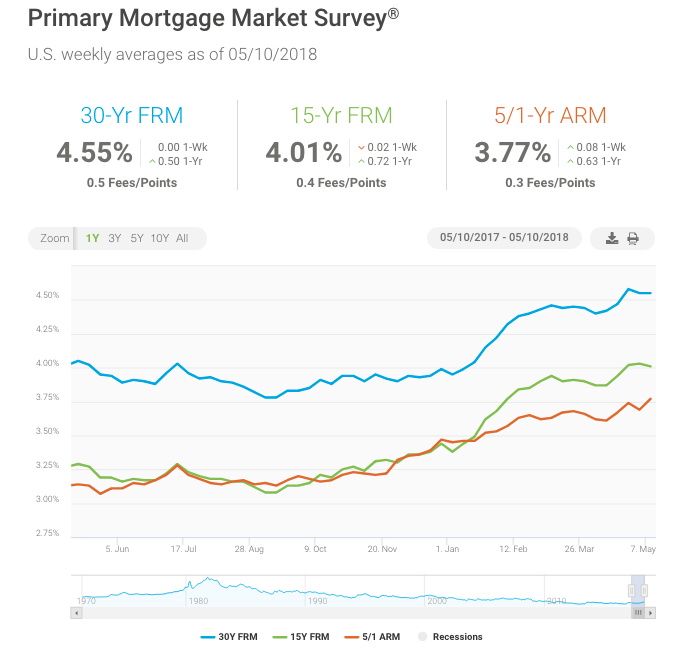 The 30-year fixed mortgage rate remained at 4.55 percent over the past week.